In addition to the functionality of this armoire, it is a great furniture to add to your home. It features a rich antique walnut finish, and a streamlined design, which create a magnificent appeal in your room. It looks exquisite and adds a sophisticated note to your environment. So you can place this beautiful, elegant jewelry armoire anywhere in your home, and it will become a great attraction. With all its functions and its beautiful design, this jewelry armoire is definitely an excellent piece for any jewelry collector. You love jewelry, but you don’t have enough space for keeping your collection organized? 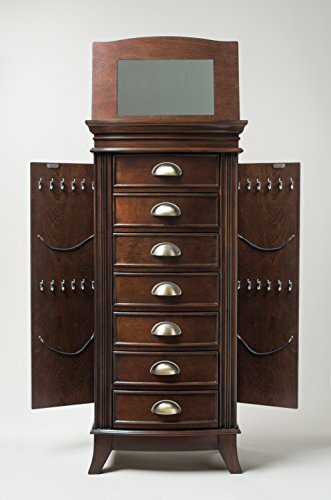 Here is the best solution to your problem – this Hives and Honey “Hillary” Jewelry Armoire. It is just perfect for your extensive collection of jewelry and fashion accessories. 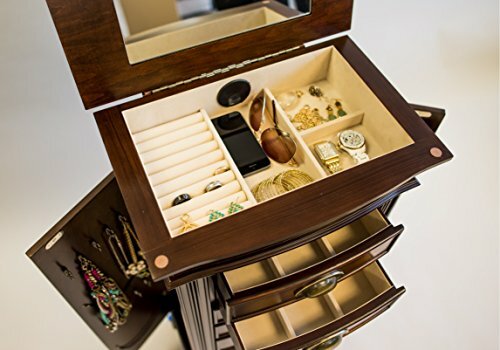 You can use it to store a wide variety of jewelry, including necklaces, bracelets, earrings, rings, but also other accessories, such as watches and sunglasses. Besides its functionality, this jewelry armoire is also a wonderful furniture piece to add to your home. This amazing jewelry armoire features a mirrored lid, which you need to open to display the top compartment of the armoire. Besides the top compartment, this armoire also has six drawers and two side compartments. You can use all of them to have a neatly organized collection of jewelry and accessories. 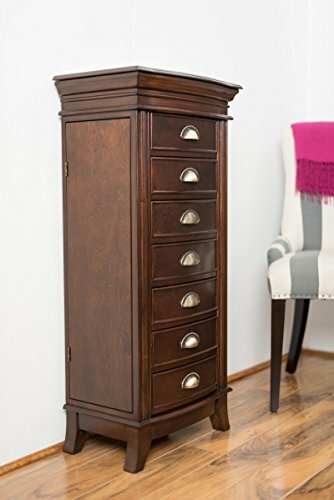 Besides storing your most precious, valuable items in this jewelry armoire, you can also use it to apply or check out your makeup, to do your hair, or any other fashion needs.